AB de Villiers will feature for the Proteas in the second test in Bangalore this weekend. When he runs out onto the field it will be for his 100th cap (in 102 tests since his debut) and he will join six other South Africans as centurions. A list that includes Jacques Kallis, Graeme Smith and Gary Kirsten. And while AB de Villiers has regularly caused mayhem in the Limited Overs versions of the game, his brutality in these forms means we sometimes forget about his truly great white clothing knocks. To celebrate #AB100, we pick five of his best test match innings. Read through the list and let us know which was your favourite? Also give AB de Villiers some love on social media as the superhero takes the field against India. At the time it was the South African record for the highest test score and had he been more selfish would have been the first South African to score a triple ton. It was also AB’s second double ton and underlined already in 2010 how important he is to the South African test cause. De Villiers struck 23 fours and six sixes in his unbeaten total to surpass the previous mark of 277 set by the captain Graeme Smith against England in 2003. After the 319 from Virender Sehwag in the opening test of the 2008 series, many thought that they had seen it all. But AB de Villiers had different ideas. After the first test ending in a high scoring draw SA were looking to inch ahead in Ahmedabad and de Villiers provided just the right knock to seal the initiative after Dale Steyn wrecked havoc to dismiss the home team for a paltry 76 in the first innings. Considering the calibre of the Indian attack this was certainly a knock to be cherished for the South African star. It was also the first time a South African had scored a double ton against India. In the first Test in Perth, De Villiers scored a match-winning century to help South Africa chase down the second highest ever fourth innings target of 414 with six wickets in hand. This was South Africa’s first Test victory in Australia in 15 years and appeared to go a long way towards tilting world cricket’s balance of power after over a decade of Australian dominance. South Africa would go on to win the series for the first time ever on Australian soil. Something they repeated in 2012. This test will be remembered for the incredible knock by Faf Du Plessis on his debut that defied the odds, but it was set up by an uncharacteristically defensive defiance by AB de Villiers. South Africa had to bat for four and a half sessions to survive as they were left with no chance of winning and like in the first test had to bat out to save the game. AB batted for four hours and did not score a single boundary but his resilience and ability to play a different game was what the team needed and AB delivered. Of course a list of AB de Villiers knocks would not be complete without one dismantling knock included. This is that knock. South Africa had needed to accelerate in order to declare and run India out of the game. 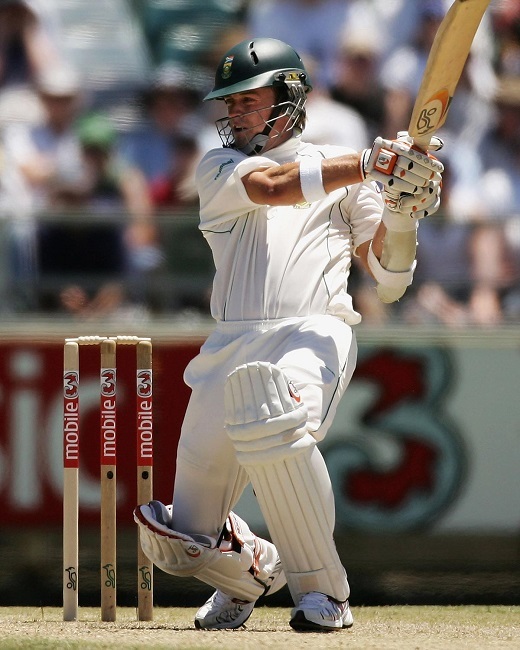 The test will be remembered for Kallis getting his first ever double ton, but should also be remembered for the AB acceleration. 396-3 was the score when he came in after 92 overs. He then produced South Africa’s quickest ever test century racing to his century in just 75 balls. His ability to completely remove the game from India was immense and a further point to underline that he is the most devastating batsmen in the World. We salute AB de Villiers on his 100th test match and look forward to many more for our favourite Star!